This is the most effective and durable solution for the protection of gelcoat or paint for the yachting industry to date. The ceramic coating treatment offers protection against corrosion but also against UV. There are no products currently on the market comparable, this has nothing to do with the application of a finishing wax. Indeed the application of a wax is effective for several weeks or even a season while the ceramic treatment is designed for a duration of at least 3 years. 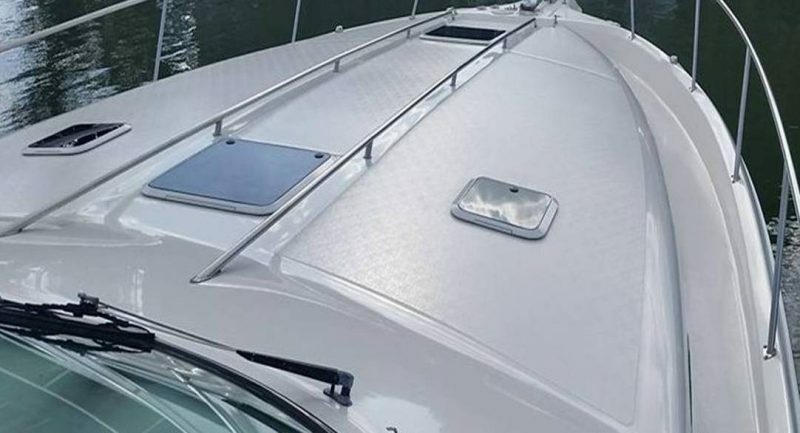 Boat ceramic coating is in the form of a liquid product which comes from nanotechnologies of industry and aerospace, transparent and non-yellowing applied with a particular process. When dry, this product turns into a solid material that shields the surface to be protected. The ceramic cannot be removed chemically with the use of detergent or acidic agent. This nano-ceramic solution offers a hydrophobic surface which creates an water repellent factor which makes cleaning much easier. Stainless steel parts of the boat can also be protected against rust points and corrosion. The ceramic coating treatment greatly strengthens the paint or gelcoat. This layer of nano-ceramic can solidify any surface against scratches. Even damage to the ceramic layer can be easily repaired. This protection is particularly useful for protecting the screens of navigation instruments, for example. The boat ceramic treatment is applicable on parts subject to deformation such as a hull or superstructure of a boat. The protective layer will not crack or leave per plate due to its flexibility. The efficiency over time of our ceramic coating treatment depends on several factors but we can guarantee a minimum of 3 years for all the emerged parts if the coating is not exposed to abnormal abrasion. It is also possible to an additionnal layer every 2 or 3 years to extend the life of the initial layer. Once the treatment is applied to your boat, it will stand out from the rest. The shine and depth of the color are incomparable. The ceramic coating treatment, unlike the finishing wax or teflon brings a quality of permanent brilliance, the results are truly exceptional. This solution is in the test phase for use below the waterline. If the results are satisfactory we will let you know. If you are interested in this innovative and sustainable solution, do not hesitate to contact us using the form below. 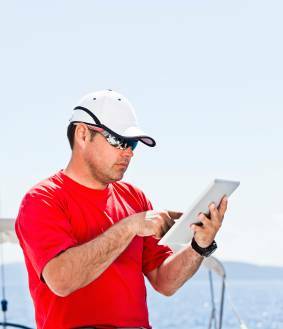 We offer a complete range of boat maintenance services on the French Riviera and are always anxious to bring the best quality for our work. This ceramic boat treatment brings you an exceptional high end finish at an affordable price.